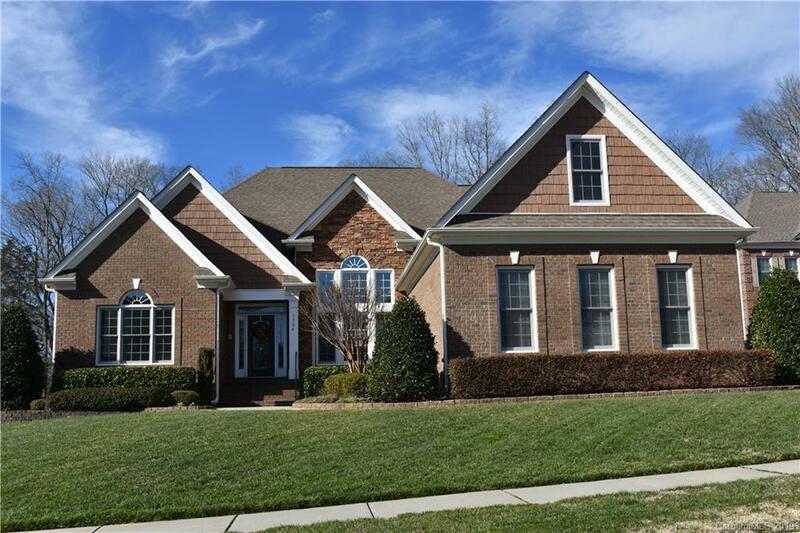 A spectacular custom home in a quiet cul-de-sac in Newman Manor neighborhood in Kannapolis, NC, Cabarrus County, close to North Carolina Research Campus! 4 BRs, 3.5 BAs. Finest quality construction and finishes: gorgeous hardwood floors, crown & base moldings, detailed tile work, custom cabinetry t/out, arched doorways, high ceilings! Boasts beautiful 2-story Entry w/HW floors, fabulous Kitchen w/custom cherry cabs, electric range, wall ovens, warming drawer! Opens to handsome LR w/2-story stone FP, connected to the GR! GR and screened Porch overlook heated saltwater pool and hot tub. Pool and irrigation system use private well! Master Suite on Main has double tray ceiling w/lights, oversized BA w/seamless glass tile shower. Split BR floor plan. Guest Suite on Main, perfect for in-law or nursery! Loft, BR 4, Bonus Room upstairs. Security System. Walk-in attic. Music & sound intercom. Gas water heater 2017. Cent. vac. 2.5 garage. Crawl space is sealed. Flat, fenced yard. One owner home!